So you are looking for information and specs of the 700r4 transmission on the web? So did I, and I couldn’t find any useful or relevant information about this common transmission. That’s why I decided to write this guide for you about the 700r4 transmission. This is a widespread transmission on GM/Chevy cars, and I’m shocked about the lack of information out there, so I did go through a lot of websites and books to collect all the information you probably need about this transmission in a single blog post. I hope you like the information and if you have any other questions, leave a question in the comment field at the bottom of the article, and I will answer your questions as soon as possible. So what is exactly a 700r4 transmission? Well. The 700r4 Transmission came in the year of 1982. The 700r4 and the 200-R4 transmission replaced the TH350 transmission at that year. The TH350 was a 3 geared transmission without the last overdrive gear. The 700r4 was a big upgrade with an additional gear (Overdrive), the 1st and 2nd gear became longer, and the transmission case itself became a bit longer. 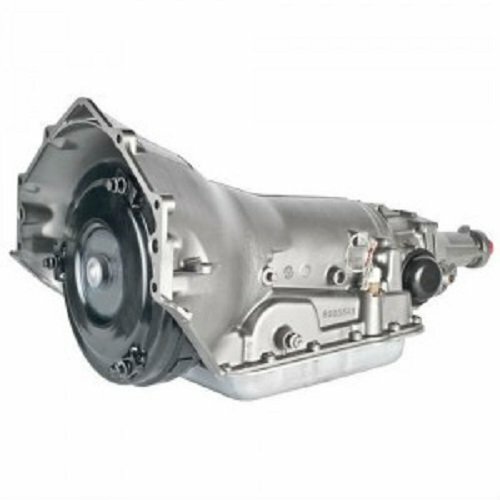 You usually do find the 700r4 transmission in GM cars like Chevy Blazer, Suburban, Camaro, Corvette, Impala and even in Oldsmobile Cars with a lot more. To mention all cars this transmission was fitted in; the list would be very long. A lot of people like the 700r4 because of the excellent durability. It is also effortless to find replacement parts for this transmission. The 700r4 transmission was not electronically controlled yet; it was hydraulic pressure controlled with a TV cable which acted as a throttle position sensor to control the gear shifting. 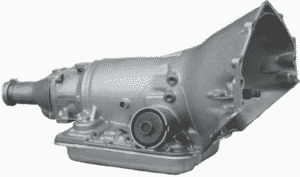 In 1991~ the 700r4 transmission was replaced by the popular transmission 4L60. The transmission did then became electronic controlled instead of the TV cable, with some other changes which I will go through further down in the article. So for a summary, the 700r4 transmission was a 4-geared hydraulic automatic transmission with the 4th gear which was an overdrive gear (30% increase). The transmission was made between 1982-1992. It had a case length of 23.5″~ and weight of a 170 lbs~ without fluid inside it. The recommended transmission fluid is Dextron VI with a capacity of 11 Quarts. The transmission case had 16 bolts and a transfer case of aluminum. The transmission is pretty reliable and can handle torque up to around 350nm~, remember that this is only reported numbers and it can differ a bit. A lot of you reported and wondered what the differences are between a k-case and the typical case for the 700r4 transmission. 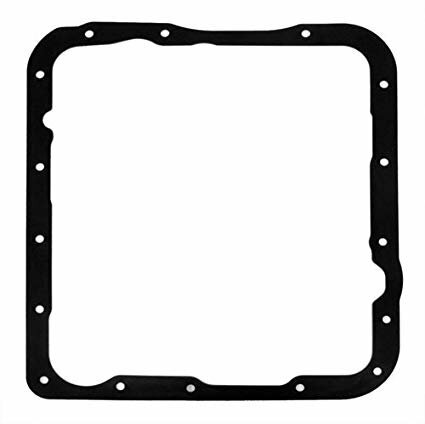 The name “K-case”, came because the transmission case was stamped with a “K”. 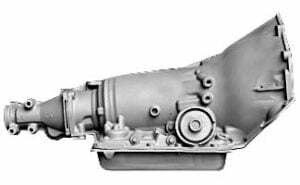 The K-case 700r4 transmission had a thicker transfer case and were stronger because it was made for the heavier 4×4 trucks. You would find these in the 1980’s trucks, and this transmission was very coveted because of the strength by the 4×4 offroad-community. How to identify a 700r4 Transmission? The most of the GM automatic transmission looked almost identical and were difficult to identify for an untrained eye. However, there are some ways to determine if you have a 200-4r, 700r4, TH350 or a 4L60 transmission. The easiest way to identify if you have a 700r4 is raising your car and checking the bolts around the transfer case. The 700r4 and the 4L60 transmission uses a bolt pattern of 16 bolts, so if the transmission looks like one of the pictures above and you can see 16 bolts, you do most likely have a 700r4 or a 4L60 transmission. So how can you know which one of these you have? Well, the 700r4 use a TV cable as the speedometer, and the 4L60 is an electronically controlled transmission, so if you see wires coming to the transmission on the rear of the transmission on the passenger side, you have a 4L60. 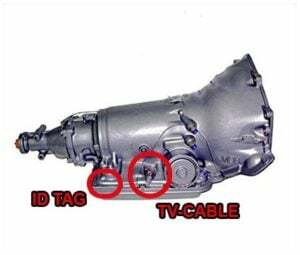 The safest way of checking your transmission is to look at the identification tag on the transmission. You will find it on the rear side of the transmission on the passenger side. On older cars, it can be pretty tough to see so you may have to clean up your transmission to find it. If you can see it correctly, you will find an identification number of 7-8 letters and numbers. 1st number is the year model of the transmission. For example, if the number is 0, the transmission is from 1990. But it’s not that easy, because the transmission was made in the 1980s also. So you have to check the next letters of the. Next 2 or 3 letters identifies the model of the transmission. These numbers tell us the application, engine size, wiring type, and solenoids. If you find 2 letters, The transmission is made between 1982-1985. If you find 3 letters, the transmission is made between 1986-1993. The last way to identify if it’s a 4L60 or a 700r4 is to look at the rear of the transmission for the Aux TV Cable or wirings as discussed before. The last numbers and letters indicated the manufacturer date, rebuild date, plant of manufacturing and serial number. This is everything you should need to identify your transmission correctly if you still have questions about it you are welcome to comment in the comment section at the bottom of your article and ask your questions. Even if the 700r4 transmission was pretty durable and reliable, they do sometimes fail. We have to remember that these transmissions are old and old things do often fail at some time. I work as a diagnostic technician, and I’m solving problems with cars all days long. Here I will write some common symptoms of the 700r4 Transmission and will write a short line underneath it to explain where you should start looking. When your 700r4 Transmission is slipping or won’t lock, it’s most likely a problem with the converter inside the transmission. However, the first thing you always should to when your transmission is slipping is to replace the transmission fluid and to flush the transmission. So the first thing I could recommend is to check the transmission fluid level. Let the transmission fluid became hot and let your car idle at Park while you are checking the dipstick. If the fluid level is low, try to fill it up to see if it solves the problem. If you find out that the transmission fluid looks dark red, brown or even black, it’s time to replace the transmission fluid and flush your transmission. However if the transmission fluid seems good, and the converter is slipping I do still recommend you to replace the fluid and do a transmission flush. There could be a problem with the converter itself which may need a replacement. Other causes could be due to the adjustment of the TV cable, which I will discuss further down. If your car revs up, but it will barely move, you should start with checking the transmission fluid as discussed before. Check the level and the color of the transmission fluid. If the fluid seems okay, it’s time to check the adjustment of your TV cable between the transmission and the throttle body. I have included a movie to simplify the procedure of the TV cable adjustment. You should also make sure that the switch on the brake panel is working properly. If your speedometer is not working, there are two different variants you have to know about before starting the troubleshooting. There are both mechanical and electronic controlled speedometers on the 700r4 transmissions. First, you have to check if you have a mechanical or electronic speedometer. If you raise the car and take a look at the area around the rear of the transmission if the cable coming out of it is pretty thick with a big circle that screws into it, you have a mechanical speedometer, and if you find a speedometer sensor, you have an electronic speedometer. If you have a mechanical speedometer – Check if you can see any problems with the speedometer wire, replace it if you can look at any signs of worn or other damages. These wires can jump out from the dashboard cluster sometimes, so make sure its installed correctly. If you have an electronic speedometer – Check the wirings between the cluster/control unit and the transmission and make sure there is no corrosion inside the connector. If the wires are okay, it’s time to replace the sensor on the transmission. If the problem still insists, there might be a problem with your instrument cluster. If you are feeling vibrations in while you are accelerating with your car, there is most likely a problem with the driveshafts, prop shaft or the torque converter. If you are feeling vibrations at all the time and not only on acceleration, you may have unbalanced tires. If your transmission is not shifting correctly, you might want to check the TV cable adjustment as discussed before. Also, check the transmission fluid level and replace it if it’s worn. There are some common problems that you always should check first when you are troubleshooting your 700r4 transmission. The Switch at the brake pedal: There is a switch on the brake pedal which you want to check the function of to make sure it works correctly. There are two different variants of these, either its a combined switch with the brake switch and cruise control switch, or there are several separated switches. Check the wirings diagram and make sure the switch is working correctly and make sure you get voltage to the switch. Worn out TV cable/Adjustment. A worn out TV cable or a faulty adjustment is another common problem on the 700r4 transmission. Make sure to adjust the TV cable with the help of the video a bit higher up in this article. If you can see any signs of worn out or damages on the TV cable, Replace it! Low fluid level/burned fluid The 700r4 transmissions are sometimes leaking which can cause low transmission fluid levels which you always want to make sure is okay. Some transmission has gone a lot of years without a transmission fluid change also, which can cause damages inside the transmission. Check the fluid level and replace and flush the transmission fluid if it looks dirty. Faulty Converter. Sometimes the torque converter can fail on the 700r4 transmission, unfortunately. These are often pretty expensive and you need some skills to replace these. If you have done everything above and the transmission is still slipping, you might have to replace it. There are some videos on youtube on how to replace the 700r4 converter. To understand a bit more about the function of the 700r4 transmission to make your troubleshooting simpler, I have included a teardown film of the 700r4 transmission which might give you a clue about how the things are working inside the transmission. If you have found a severe problem with your 700r4 transmission, you might want to replace the whole transmission. 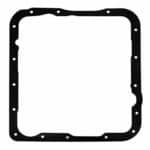 Because it’s a popular transmission, the parts for the transmission are pretty cheap both new and used, and you can find both used and new transmissions for a reasonable price. However, if you are going to replace parts for your transmission, I do always recommend you to install new components and never install used parts if possible. Remember that most of these transmissions are old and are starting getting worn out and the price for new parts are not very high. If you are looking for either just any parts for your 700r4 transmission or are looking for a brand new transmission, I can recommend you to check it out on Amazon if you live in the USA or Europe. There are a lot of new parts there for this transmission, and most of them are pretty high quality. or checking the ad down below. If you are looking for used transmissions, you can either find them online or because they are pretty standard, you can probably find them on any junkyard near you. Remember to check the transmission closely before you are making your purchase. Try to get as much information as possible about it, like the mileage, how many transmission fluid replacements were done, etc. I guess you do now have got a clue about what the 700r4 transmission is and how it works. If you still have any questions about the transmissions you are welcome to write your questions in the comment field down below and I will answer it as soon as possible. I’m going to write more reviews about different swaps and conversions between these transmissions, but write your question, and I will try to write an article about the topic. I hope you enjoyed the information, see you in the next article! First off, thanks for all the great information. Is there a site somewhere to fully decode the Identification Number? I have one installed in my 1969 C-10 and I’m sure it is not original, but am very curious as to what vehicle it was originally installed. I’m thinking instead of Catalytic Converter, you mean Torque Converter? Thanks for your input! I have also searched for a full decoding software for the identification number, without success, unfortunately. If I do find one, I will link to it! Oh yes, it should be torque converter, edited thanks for your report! I have a 1991 Chevrolet Silverado with a leak around some electrical part on my transmission or drive shaft. Can you tell me what part I would need to replace to stop the leaking? I have a picture of it but not sure how I could send it to you. I am a 55 year old female who trusted a so called Chevrolet mechanic, and all he did was cause me more problems. I need some help!! Thank You!! hello, I have a corvette with the 700r4 gearbox, the fourth gear runs at 130 km / h is normal? To me it sounds normal, does it feel like the transmission is slipping while you press the accelerator pedal? Great information! Thank you for taking the time to share!! I have a 1990 700r4 in a hot rod and 1st gear holds out till around 2800 rpms before it shifts. This is being easy on the throttle. I actually unhooked the tv cable and took around the block being easy on the throttle. Still held 1st to 2800 rpms. I do have the edelbrock correction lever coming for carb. With this information what could cause these symptoms? Also,… was watching video on adding the lockup kit. They showed the 4 TH gear port by a round cover on pass side to put switch in. I don’t see this on my trans. Hello I have a 1985 K5 Blazer with a 6.2 diesel. My question is do I need to get a 6 bolt torque converter to go with my 700r transmission? Or should I use a 3 bolt torque converter? The problem is that I had my transmission rebuilt and it was driving fine until I punched it on the freeway way and it slowed down and it started sounding like bad lifters. So I pulled over and turned off the truck. Then I restarted the truck again and the noise went away. I took of driving and I punched it again and it drove fine. And after a half mile it started doing the same thing again. And it lost power. I turned the truck off again and restarted it. While driving around 30 to 40 miles an hour is fine. No problems until I get to high speeds. Right know I have a 3 bolt torque converter. So my question is should I get a new 6 bolt torque converter or a 3 bolt torque converter. Im converting column shift PRND21 to B&M floor shift PRND321 in my 1971 Chevy C10 which has a 700R4 transmission. I cannot get the shifting lever and transmission actual gear position to match. Now I’m confused as to how the stock column shift with 3 speed settings worked, and why the B&M 4 speed settings won’t work. Could you tell mee the part number at the filter kit for this transmission. Liked your comments on the 700r4. I have the early 700 in a 82 corvette. It has been modified with Kevlar clutch pack, better shell, 30 spline input shaft, TransGo shift kit and a few other mods that I don’t remember. The trans seems to shift fine and 1st to 2nd is firm, not violent, 3rd is OK as well and sometimes going into 4th is a tad slower than I would like, but I hardly use 4th/OD. However, when at WOT it does not shift by 6,000rpm and I have to lift off to make it shift. The governor also has lighter weights and maybe springs? Would the governor be the first place to look at? Any other comments on for sure things to look at would be appreciated. Thank you. Because of high demand and a high amount of comments, I do not have time to answer these specific transmission questions that require a lot of research to be answered correctly right now. I will come back to these later. Great read and reattach on your part I just purchased one to replace into my which lost overdrive. It used to vibrate when going into over due so I’m thinking it was to torque converter now.